Astronomik UHC XT EOS Clip filter plugs directly into the Canon EOS camera body (compatible with all Canon EOS camera with APS-C sensor) so it is very practical to use. 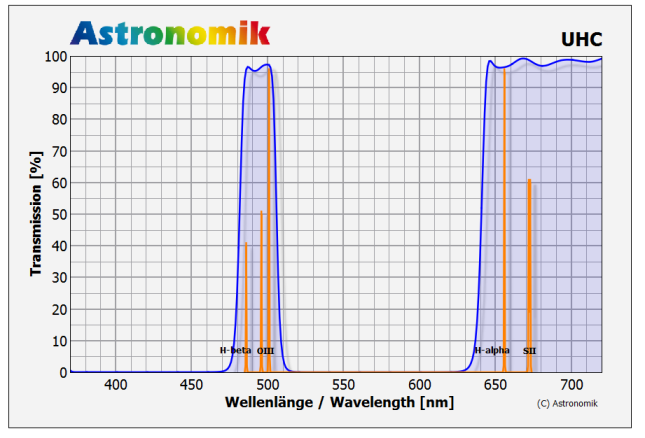 The new Astronomik XT filters are coated on an ultra-thin substrate with a thickness of 0.3mm only! Due to that the residual aberations are minimized and stars are crisp and sharp right into the corner of the image.